Judy Norsigian is a co-founder of Our Bodies Ourselves who served as executive director of the organization from 2001 to 2015. She is currently chair of the OBOS board of directors. Click the image for a high-res photo. She has appeared on numerous national television and radio programs, including NBC Nightly News, Al Jazeera, The Today Show, Good Morning America, The Early Show, Oprah, Fox News and The Current. Judy has been an author and editor for each of the nine editions of “Our Bodies, Ourselves,” the organization’s landmark book on sexuality and reproductive health. A new and revised edition published by Simon & Schuster in 2011 — 40 years after the book’s initial publication — received critical acclaim, including being named one of the best consumer health books of that year by Library Journal. 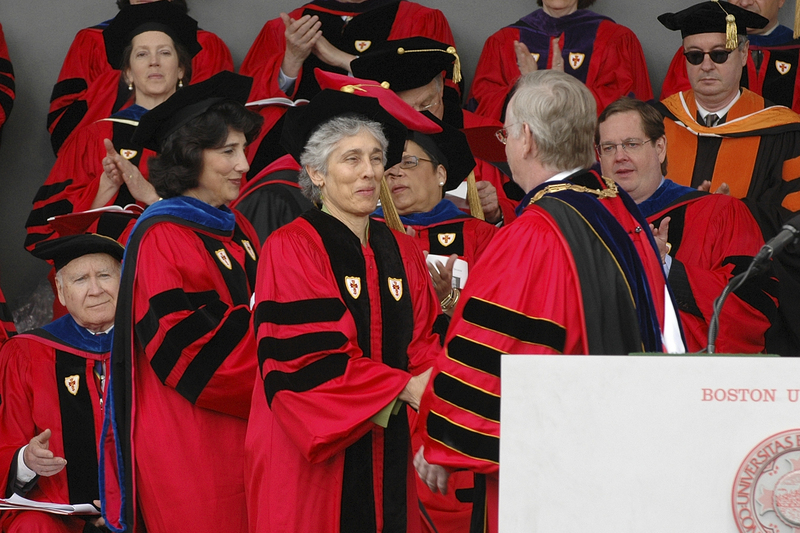 Personal recognitions include an honorary doctorate from Boston University (2007). Additional honors include: being named one of “21 Leaders for the 21st Century” by Women’s eNews; Public Service Award from the Massachusetts Public Health Association; Radcliffe College Alumnae Association Annual Recognition Award; Boston YWCA’s Academy of Women Achievers; and the Massachusetts Health Council Award. Judy graduated from Radcliffe College in 1970. She lives in Newton, Mass.